Princeton is one of the newer courses. A bit out of the way but worth the trip if you are looking to play a new course and definitely worth it if you are in the area. 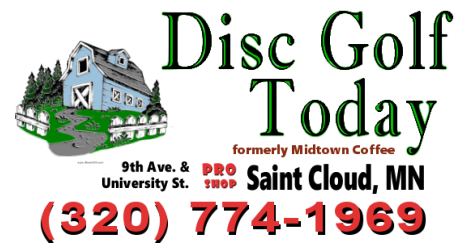 The disc golf course is the first feature of a new Princeton Park. Amenities will be added as resources become available. There are no restrooms or water available at the park yet this year. Northern Attitudes is just a couple blocks away for refreshments and restrooms. That is on the north side of the round about. Other eating establishments can be found along Rum River Drive to the south of the roundabout. This course presents a peaceful respite with lots of beautiful large trees and often wildlife. Look up and you may see an eagle or heron. Deer, ducks and turkeys also frequent the park. Holes: 9 Mach ? - Short: ? Medium:? Long: ? Princeton has 1 pin positions on each hole. The fairways are quite fair with some good risk/rewarding holes... go for the safe par or risk-punishment for bad shots. 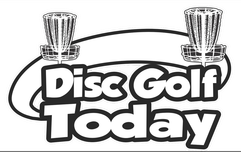 The disc course is 9 holes of grassy fairways with plenty of trees on either side and water hazards and tall grass hazards dotting the course as well. While this course is not long it is challenging with the amount of trees and changes in directions on the fairways. At present the tees are only marked with timbers at the front edge. Beware that tee markers are on the right end of the front of the tee and are close - watch your follow thru. This will be fixed in the near future. GPS for hole #1: ? From the west on Hwy 95 go thru the round about at the intersection of Rum River Drive and Hwy 95. Take the next right after the round about. Immediately turn right again. From the east on Hwy 95 go past Princeton Lanes and then turn and then immdeiately right after that. Go across the cul-de-sac to the driveway to the gravel parking area of the park. Tee 1 will be on your left by the lilac bushes. Note: the park is right on the highway and borders the river on the west side.